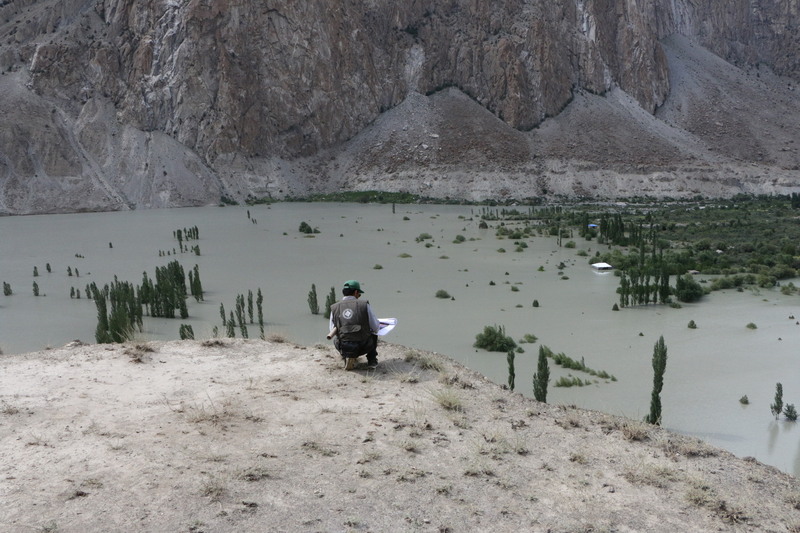 On 17 July, Badswat and Bilhanz villages in Immit Valley in Gilgit-Baltistan were hit by a glacial lake outburst flood (GLOF) which leads to the formation of an artificial lake and blocks road access for around 10 villages from the rest of the Immit Valley - photo: 26 July 2018. 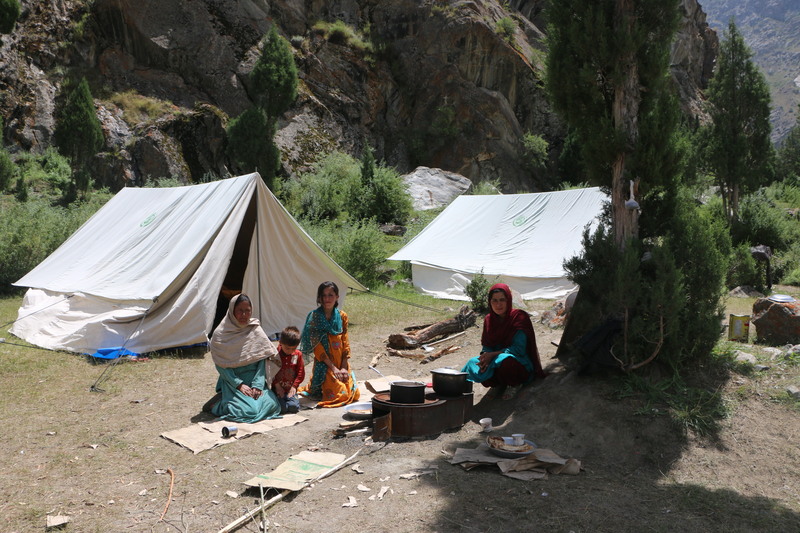 Immediately after the disaster, AKAH Pakistan’s trained Disaster Assessment Response Team (DART) is assessing the damages caused by the disaster and prioritising the immediate needs of the affected population for relief - photo: 28 July 2018. 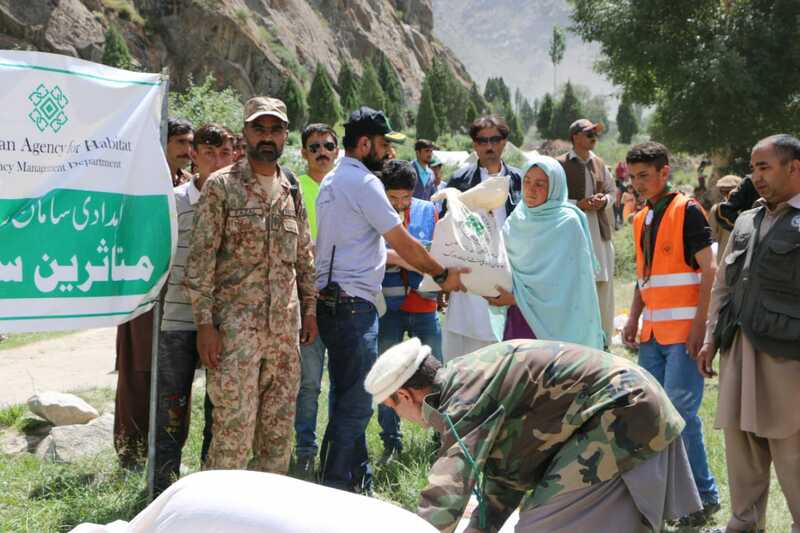 Assistant Director, Gilgit-Baltistan Disaster Management Authority, distributing food items prepared by AKAH amongst flood affected households in Badswat. 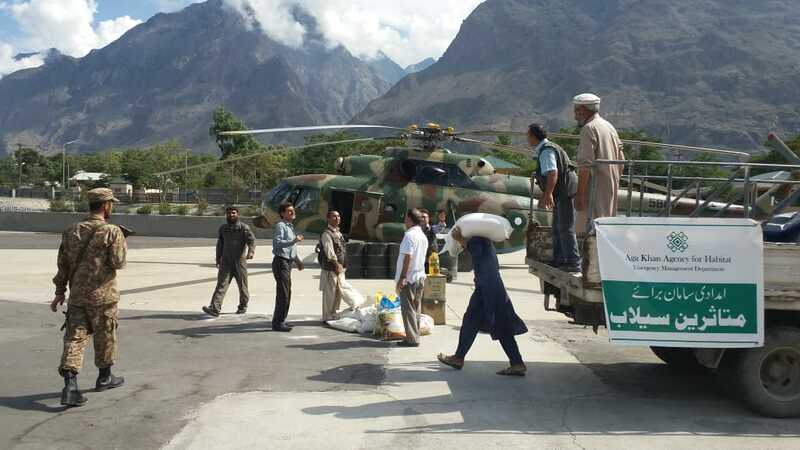 AKAH Pakistan’s staff working closely with the District Government and the Pakistan Army to provide relief to remote areas which are cut-off by GLOF through helicopter sortie. 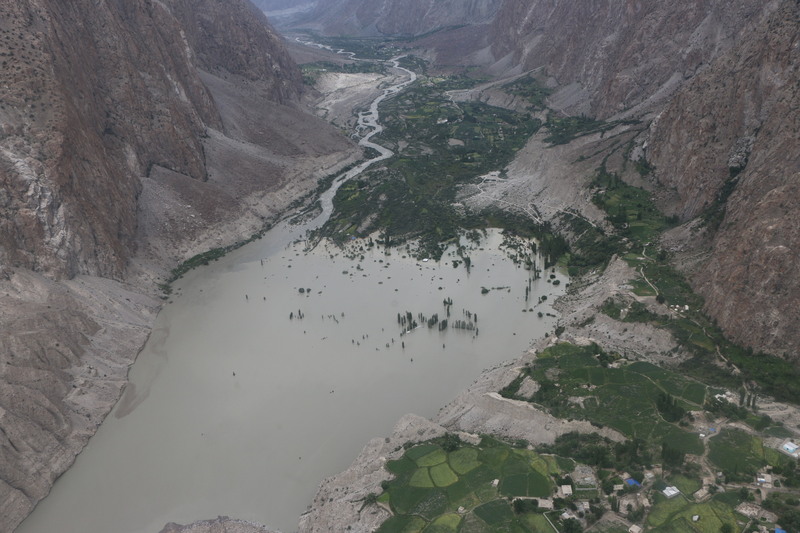 Gilgit-Baltistan, Pakistan, 3 August 2018 - On 17 July, Badswat and Bilhanz villages in Immit Valley of Ghizer District in Gilgit-Baltistan were hit by a glacial lake outburst flood (GLOF), which led to the formation of an artificial lake. As a result, over 40 houses were damaged and road access for around 10 villages was blocked from the rest of the Immit Valley. However, due to the Aga Khan Agency for Habitat’s (AKAH) ongoing awareness on disaster risk mitigation and the early mobilisation of the Community Emergency Response teams (CERTS), around 1,000 people were evacuated to safer areas prior to the disaster. No lives were lost because of the disaster.